A hidden key to your digital transformation success: assuring simple and secure access to mission critical applications — any device, anywhere. 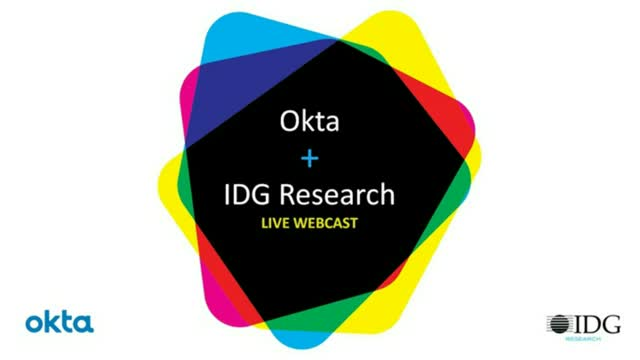 Watch this IDG webinar, sponsored by Okta, to hear how your peers see their role in going digital, and why 75% of them say identity management is crucial to enabling digital business. Consumer-facing enterprises have long been stewards of customer identity data, storing sensitive attributes ranging from a customer’s name, to credit card numbers and home addresses. But with the ever increasing number of data breaches, privacy concerns, and misuse of data, lawmakers are stepping in to arm data regulation with teeth. In the European Union, the General Data Protection Regulation (GDPR) was the first step taken to set a new standard for data privacy. In the race to become GDPR compliant, many companies have adopted manual processes for handling GDPR requirements such as customer requests for profile information and the right to be forgotten. As these organizations embark on the journey of continual data privacy compliance with more regulations being proposed and enacted, enterprises must take a second look at automating, securing and future-proofing their infrastructure. In this webinar, learn how a modern customer identity and access management (CIAM) solution can facilitate privacy compliance while reducing costs to support manual processes, improving the customer experience and making companies more secure.